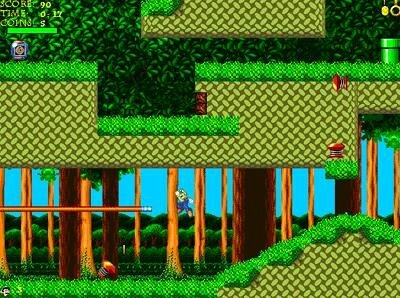 Mario and Sonic Flash combines some of your favorite classic game characters. There are four characters in total in Mario and Sonic Flash. Mario and Luigi from Super Mario Brothers as well as Sonic and Tails from Sonic the Hedgehog. 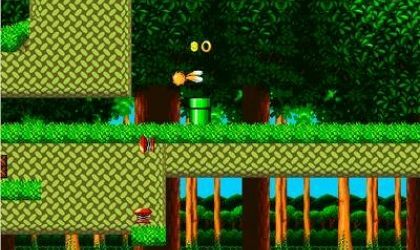 The actual game play is based on the original Sonic the Hedgehog. You must collect as many gold rings as possible and gain as much score as possible, in as little time as possible. 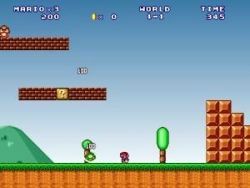 Each player has their own unique ability to help them through the levels. 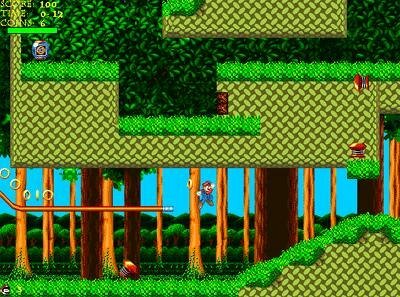 Sonic and Tails have their original abilities. Sonic can spin extremely fast allowing you to move at very high speeds and jump extra high. 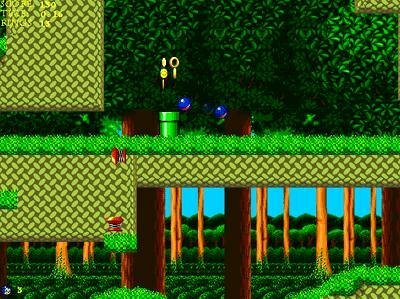 Tails has the same abilities as Sonic as well as his bushy tail which allows him to fly. 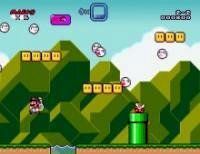 Mario and Luigi can each shoot fireballs which helps to destroy enemies and break through brick walls. 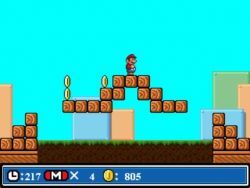 Mario has the ability to grip on to a wall, so if there are to walls close enough together you can jump from one to the other to get higher up. Luigi can run and jump at a very fast pace which helps to get across long gaps. 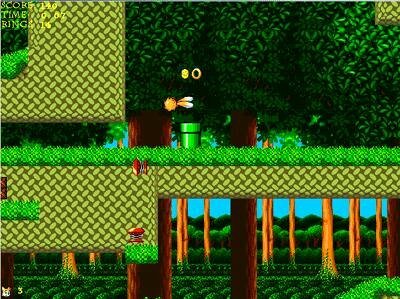 Mario and Sonic Flash looks and sounds good, the only problem I found is that sometimes if you are moving to fast your player can get stuck against the wall for a few seconds. Other than that this is a good freeware game that will provide some entertainment. Mario and Sonic Flash is, to put it simply, a dumb game. The idea is nice (combine four of gaming's most popular characters), but the gameplay and graphics are very badly made. The graphics are too small, and a tad juvenile. While the themed gameplay is nice (i.e., Mario needs coins and Sonic needs rings), there were too many bugs to make this game even the slightest bit enjoyable. Every time you started really getting into the game, the character would get stuck somewhere and you would have to get him out. Also, the lack of options and enemies were negatives. While the idea is very nice, the execution of it was horrible. Mario and Sonic Flash must be one of the worst games I have played in a long time. Bad graphics, horrible gameplay and awful glitches! The game concept is pretty good, but the game itself? Yuck! The maker(s) of this game should have spent more on the design and debugging of this game BEFORE releasing it to the public. Well, what should i say. I'm a mother and my 8 years old boy loves it, but i just hate games that let me use the keyboard. This game is great! It is kinda excellent and the textures are good! I guess! It's OK I guess. Though, the same level every time gets boring. It's horrible to start with. Bad graphics and hard to control.